This episode of AND brings with a true story of sexual abuse, emotional abuse, physical abuse, spiritual abuse, and mental abuse, being part of a cult culture….and it all happened to one person. 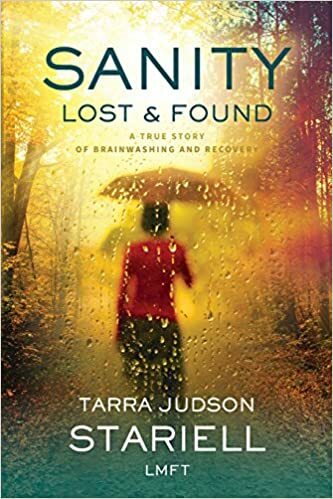 Meet Tarra Judson Stariell author of the book Sanity Lost & Found: A True Story of Brainwashing and Recovery. So many people in the world live under abuse. Many do not even fully grasp the level of abuse they are living under, or how they even got there, much less how to get out. Tarra talks with me about the events that led to how she got in the cult, how she got out of the cult and how she helps people redeem themselves as a certified therapist in The Center for Self-Discovery. you know someone who is living under any abuse in any situation, I suggest you listen to this episode and share it with someone. Please purchase a copy of her book it is an amazing read!